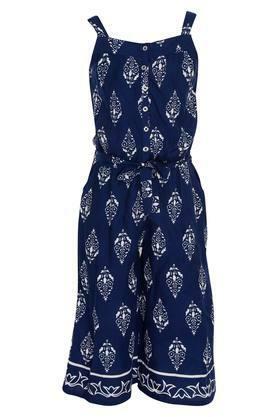 Simple yet stylish, this jumpsuit from Peppermint would be a great pick for your little daughter. It comes with a print pattern, thus lending it a classy appeal while strappy neck further gives it some edge. 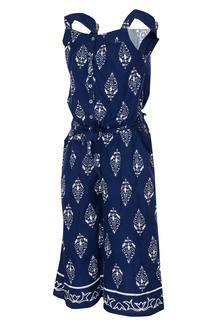 Besides, it has been tailored with fine quality fabric to make your kid feel comfy all through the day. 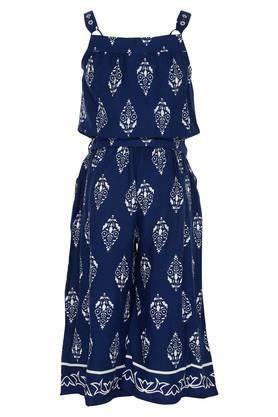 Designed keeping the latest trend in mind, this jumpsuit will let your girl walk in style. You can make her team it with a pair of ballerinas to look smart for any casual occasion.